One dark winter’s night, I was in bed, sitting perfectly erect, completely oblivious to my surroundings, my eyes fixated on the pages of the book I was reading – a book that was to change my life. 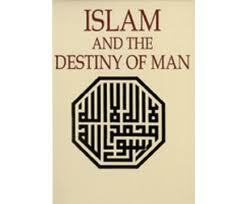 The book was Islam And The Destiny of Man, by Gai Eaton, an English writer and revert to Islam. I had heard great things about the book and that it was a stimulating read for the intellectual. I wasn’t disappointed. The book itself is a lucid, magnificently written masterpiece and an exposition of Islam that is quite unparalleled by anything else in the English language. However, there were ten pages within the book that shook the depths of my being. For some time I had, to varying degrees, been suffering from inner turmoil: having been brought up a Muslim, I was starting to question my faith. What if Islam isn’t the truth? Why should I believe in all these pre-modern teachings, many of which seem to go against reason? What sort of God, seemingly carefree, throws people into the fires of Hell? And why should I believe in an anthropomorphised, transcendent God that resides in the heavens? But within less than 15 minutes, all those questions, doubts and fears had been allayed, vanishing into non-existence. Those ten pages from the late Gai Eaton’s book, had resonated with me to such an extent that an eery stillness suffused my core. I sat up on the edge of my bed, rubbing my face and passing my fingers through my hair, while trying to comprehend what I had just read. I thought to myself: All this time, there was something more – so much more – to Islam and nobody had told me? For years I had just been scratching the surface of Islam, unable to plunge into its vast oceans. But, thankfully, I had discovered the profundity of Islam, its depth and indeed its essence. Those ten pages were about Islamic mysticism, also known as Sufism. 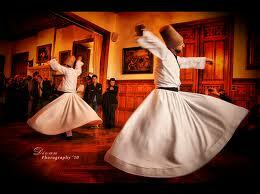 Some people define Sufism as “tasting”, or “experiencing”, in Arabic, “dhawq” or as “unveiling”, in Arabic, “Khasf“. For the first time in my life I had tasted, experienced or unveiled something True, Sufism had spoken to me in a way that nothing or no-one had ever done before. Sufism, however, is not something abstract, it’s not about using one’s mental faculties to arrive at the truth, it’s about annihilating the self and discovering the Self, so that one can experience the divine with one’s heart. What I had discovered is that these sorts of teachings posed a threat to Islamic orthodoxy, threatening to bring down the Islamic Establishment – so for centuries, had been suppressed. To be clear: I do not identify myself as a Sufi. Neither do I believe in promulgating Sufism’s esoteric teachings to the masses. Many even believe that identifying oneself as a Sufi is a little arrogant, rather people should say they are an aspirant-Sufi. The term Sufism is also a little divisive: it leads people to think that Sufism is something other than Islam. 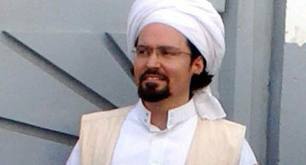 According to Shaikh Hamza Yusuf, no major scholar in Islamic history has ever denied that Tasuwwuf is a science of Islam. Even Abd-al Wahab, the founder of the modern day Wahhabi movement didn’t deny Tasuwwuf, neither did Ibn Taymiyyah, who wrote extensively on the science. Essentially, there are two things that attract me to Sufism: One, its emphasis on God’s immanence in the cosmos and closeness to us, and, two, the esoteric, inner meaning of Islam’s opus magnum, the Quran, and the sayings of the Prophet Muhammad. According to the Prophet Muhammad, the Quran has several layers of meanings. The Prophet also spoke to people in different ways: to the bedouins, he would use simple language and explain Islam’s exoteric nature. To his companions, who were more receptive to Islam’s more inner teachings, he would speak on a more intellectual level, explaining Islam’s esoteric nature. According to one of most famous Islamic traditions, the hadith of Gabriel, the Prophet described three levels of Islam, the highest being Ihsan, spiritual excellence or doing what is beautiful. Ihsan was described as the Prophet as “that you should worship God as if you see Him, for if you do not see Him, nonetheless He sees you”. The definition says “if you do not see Him”. But what if you do see Him and how does one see God? According to the Sufis, God can indeed be seen in this world, not through our physical eyes but through the eye of our heart. To be clear: God can only be seen to the extent that He chooses to show Himself and certainly cannot be seen as He appears to Himself. The idea within Sufism is that through self-annihilation, there is a thinning of the existential veil between the Divine Reality and human creatures. The Sufis, generally speaking, uncompromisingly follow the way of the Quran and the Prophet, although many have deviated. They believe the esoteric and the exoteric should never contradict. But they also believe that it is possible to be so sincerely devoted in their imitation of the Prophet that God can teach them directly, without the intermediary of rational learning. They quote the Quranic verse: “Be wary of God, and God will teach you” (2:282). “Die before you die”, Prophet Muhammad, peace be upon him, is reported to have said. The pervasive rhetoric of today’s Salafis is that Sufism is a “deviant sect” practised by “deviant Muslims”. This is something I had believed, too. The reason I share this story is because I believe Sufism, when practised appropriately, is the perfect antidote to much of the Islamic extremism around the world. Sufism is about love and beauty. It is also the antidote to the rising number of intellectuals who are rejecting religion. God is vast, He encompasses all things and in His divine Knowledge gave us a religion that appeals to all people: unintelligent people and intelligent people, those with harsh a nature and those with a gentle nature. In our post-God era, where many have convinced themselves that there is no Divine Reality, the midset that predominates western though is that forms and rituals are irrelevant, it is the spirit that counts. 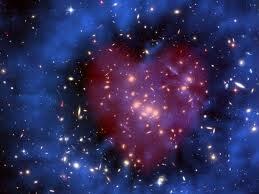 A popular refrain we often hear is “what we have in our heart is all that matters”. This is true – and what is in our hearts is primary – but this attitude can also lead to a type of subjective extremism. The heart can become corrupted and can therefore suffuse our being with all sorts of vices. The Prophet Muhammad said, the heart must be “polished” and the polish of the heart is the “remembrance of God”, Dhikr, a key practise of the Sufis. Unfortunately, too many religious people have emphasised the Law, the outward form – as opposed to placing equal merit on the spirit of the letter and the Law. The sole emphasis on the outward forms of religion and many of its pre-modern customs and teachings are hard to digest. Some of these pre-modern ideas have led people to think of religion as the antipode of science and reason and, as a result, is producing countless atheists. Fortunately for me, my search for the Truth lead me to the Truth. Indeed, if one is searching for the Truth it will manifest itself to you one way or another. Bible is truth, Koran is truth. Their God or Allah not same in all area. Jesus Christ in the bible is never the essa or issa of the holy Koran. Bible stories are intelligently penned down unlike similar story incoherently in Koran. Both books are never equal. attempts to compare them with each other is like bringing negative to meet positive and causes explosion. Debating is useless. Sufism does not reject violence and warfare against disbelievers. There is nothing benign about this intolerant version of totalitarianism. Many of the greatest slaughters in India were committed by Sufis. The terrorists in Chechnya are also Sufis. Religion is pure delusion and God is imaginary. Seriously, what possible difference would it make if everyone was an atheist? It wouldn’t affect the cycle of life in the slightest because all religions are based on old stories made-up by man. There is no Allah, or heaven or hell. Its all a big lie to gain power and influence in the real world and people who can’t see this are idiots. Stupidity and ignorance are unworthy of respect and religion should be exposed for the fraud that it is. If you disagree then by all means offer some evidence that validates any claims made in biblical or Koranic scripture. I’d love to see it. I am truly delighted to read this blog posts which consists of tons of useful facts, thanks for providing these kinds of statistics. As-salāmu ‘alaykum wa-rahmatu Allāhi wa-barakātuh, brother. The last quote from Mansur Al-Hallaj is not Islamic at all.